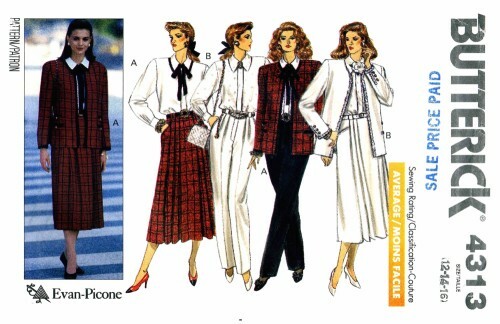 1980's Butterick 4313 Vintage Sewing Pattern Evan-Picone Misses'/Misses' Petite Jacket, Blouse, Skirt & Pants: Loose-fitting, lined, below hip jacket has shoulder pads, side panels, no side seams, upper welt, lower welt pockets and long, two-piece sleeves with button trim. Purchased trim. Loose-fitting blouse has collar and long sleeves pleated into button cuffs. 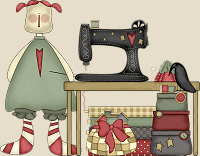 Narrow hem. A: contrast under collar and tie. Slightly flared skirt, below mid-calf or tapered pants have waistband, carriers, front pleats and side front pockets. Skirt: back gathers and zipper. 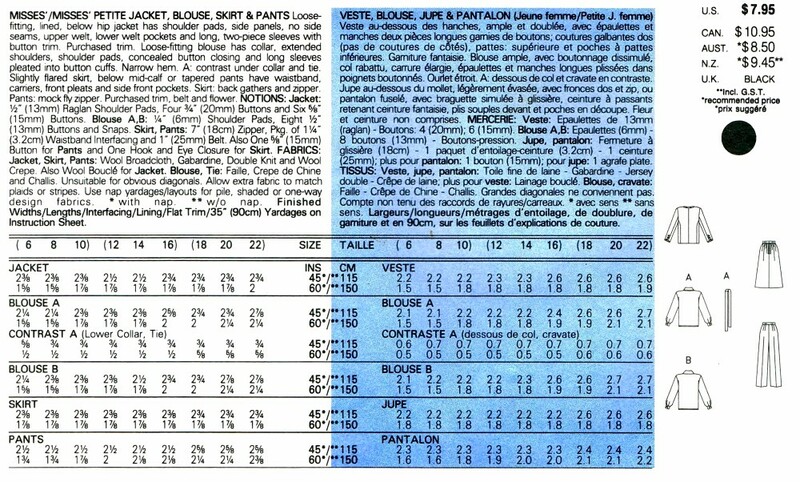 Pants: mock fly zipper. Purchased trim, belt and flower.